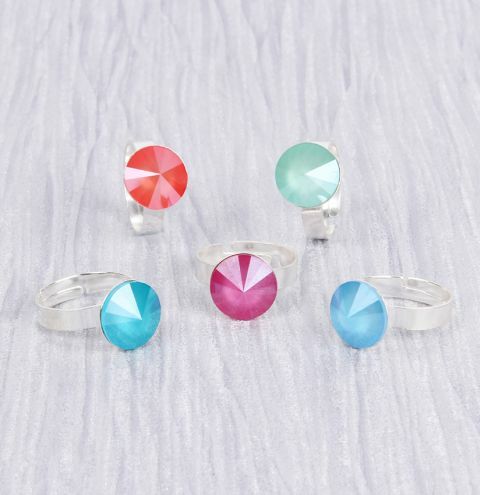 *BLOG FEATURE* Give your look a pop of sparkling colour with an adjustable sterling silver ring, made with Swarovski crystal pro lacquer effect rivolis, as part of the NEW Swarovski Innovations Spring/Summer. View the full blog post with video tutorial HERE. Carefully apply a drop of Gem-Tac glue to the ring base and set your crystal rivoli into place. Allow to dry for 24 hours before wearing your ring.